Being charged with a crime can have a devastating effect on your life. The ramifications can affect your job, your finances, and of course, your freedom. 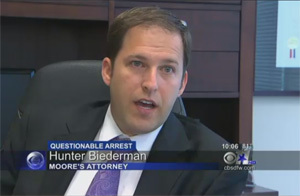 We have created this site in order to provide information about criminal charges in Texas, punishment ranges, and criminal attorney Hunter Biederman. 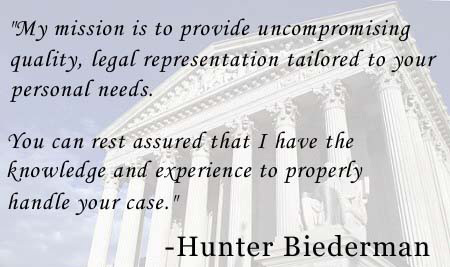 The decisions you make of who to hire, and how to handle your criminal charges can change the rest of you life. We hope this website aids you in your decision making process. Frisco, Plano, McKinney, Allen, Wylie, etc. Denton, Carrollton, Frisco, Flower Mound, Coppell, etc.